The Ejendals Tegera 9125 All Round Work Gloves are chrome-free, synthetic leather gloves with a reinforced design and a diamond grip pattern, which makes them extremely versatile and suitable for most medium to heavy work application. They can even be used in oily or greasy environments, and, thanks to the reflector, dark environments as well. The Ejendals Tegera 9125 All Round Work Gloves are designated Category II safety gloves, which makes them suitable for situations where the risk is assessed as intermediate and reversible. 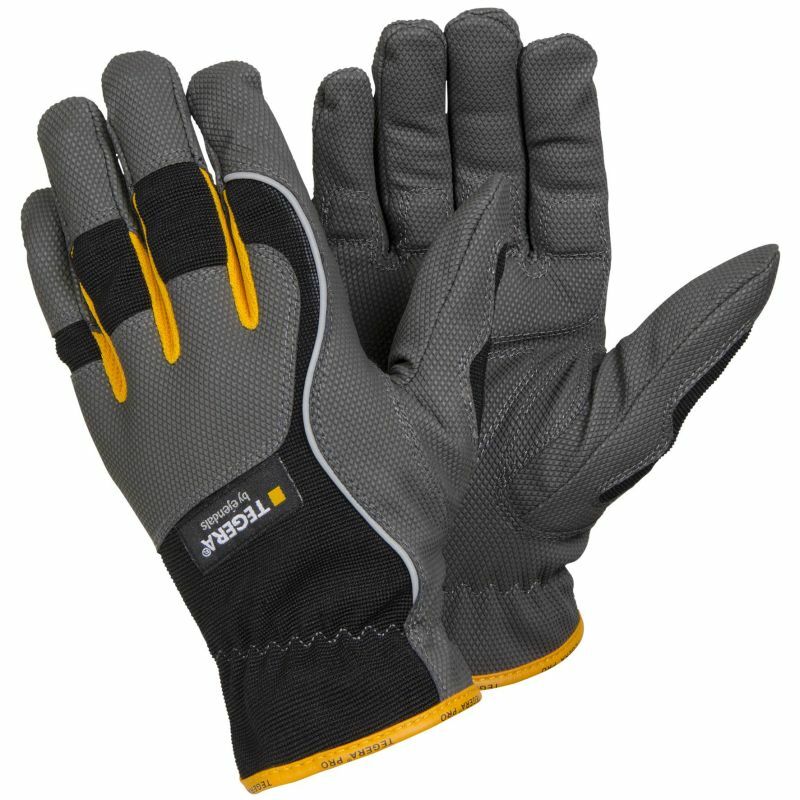 With their reinforced design and diamond grip pattern, these 9125 Work Gloves are suitable for a variety of medium to heavy work uses. The Tegera 9125 All Round Work Gloves are available in six sizes that should suit the hands of most users. Please measure the circumference of your hand around the knuckles (excluding the thumb) with your hand open and your fingers together, and the length of your hand from the tip of your middle finger to your wrist.